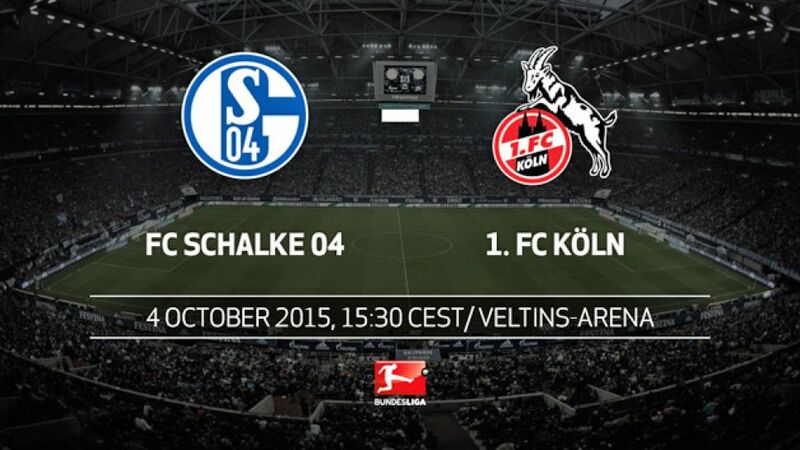 Gelsenkirchen - FC Schalke 04 have picked up 16 points from their opening seven games. It's their best start in 44 years. Can 1. FC Köln halt the march of the Royal Blues? Schalke have won all of their last five games. The last time they won five in a row was three years ago under Huub Stevens.Köln have five points more than they did after seven games last season. Köln won both the home and away fixtures against Schalke last season. The last time they won three in a row against the Royal Blues was in the mid-eighties.Leroy Sané has scored in all of the last three games. His father Soulemayn scored in three consecutive games on four occasions in his Bundesliga career. Soulemayn Sané never scored in four consecutive games, however. His son could do so against KölnAnthony Modeste has scored three times with his head this season. He has also scored the opening goal of the game on three occasions.Köln right back Marcel Risse got an assist with his first cross against Ingolstadt.Goalkeepers Ralf Fährmann and Timo Horn are playing better than Germany goalkeeper Ron-Robert Zieler this season.Sascha Riether made 33 appearances for Köln in the 2011/12 season, suffering relegation with the Billy Goats at the end of the season.